Purchase Compatible toner cartridge for your Canon imageCLASS MF4100 printer in INK E-SALE, if you have the demand. Here are Compatible Canon 104 toner cartridges applying to Canon MF4100 printers. It uses state of the art processes to insure the same print quality as OEM cartridges. However, our toner cartridges are much cheaper than the original ones. 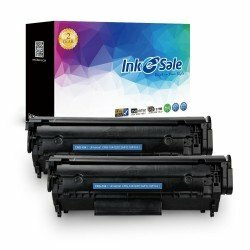 Choose INK E-SALE, 100% satisfaction is guaranteed with 2 Year Warranty for refund or replacement.